Who is 2nd all-time in hits? ty cobb i think. who's first on the list of all time hits? Who's 4th all-time in hits? Either Hank Aaron or Stan Musial I always mix it up I know they are within like 500 of each other. 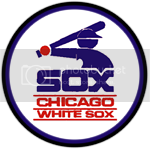 Who holds the White Sox record for homeruns in a season? ArrayEither Hank Aaron or Stan Musial I always mix it up I know they are within like 500 of each other. Who was the New York Knick hall of famer to pitch for the Chicago White Sox? Kirk Hinrich and Andres Nocioni reprsenting the White NBA ohh Raa! These signatures are in credit to Jarrod and Baggino on Sportz Insomnia. BTW GREGO the answer is Aaron. Who is the player that's on the MLB official logo? That's easy, that's the Babe, even though they didn't record it back then. Who's 11th all-time in homers?